Aftermarket Ink Toner Costs: Too Good to be True? > Buying Guides > Aftermarket Ink and Toner Costs: Too Good to be True? Aftermarket Ink and Toner Costs: Too Good to be True? Office managers concerned about about ink and toner costs and printing spend at some point consider aftermarket ink and toner. It’s cheap, and it is still legal—thanks to a recent SCOTUS decision. Lexmark and OEM printer companies recently lost a landmark ink and toner case that reached the Supreme Court. The law is on the side of aftermarket ink and toner. Should you use aftermarket consumables for lower ink and toner costs? When you know the truth behind cheap toner cartridges, the price is hard to pass up. Proof in the sales data: Newegg business buyers opted for genuine ink and toner cartridges for 85% of purchases in 2016. Why? 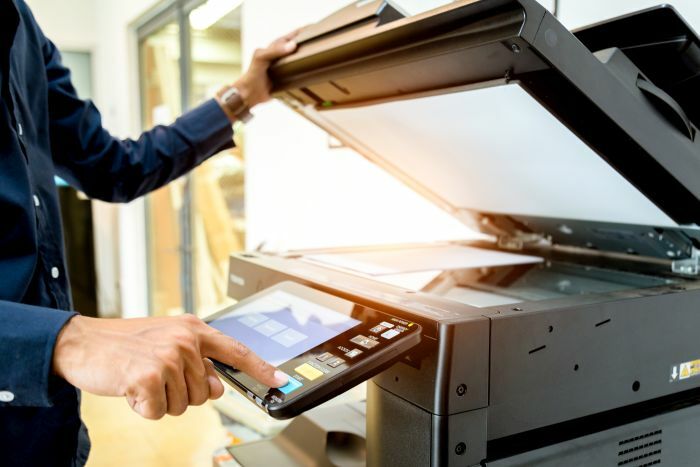 A recent HP firmware update for OfficeJet Pro printers and all-in-ones stopped functioning if aftermarket products were detected in use. HP apologized and fixed firmware, only after a public call-out and some litigation. What’s your go-to for cheap ink? Conventional wisdom says to choose well-established brands. They tend to refine processes for producing quality. Rosewill started their operation building generic ink cartridges. Newegg’s sister company expanded into high-end audio but ink is still their bread and butter. Xerox generics have been around so long they disrupted Johannes Gutenberg’s printing press monopoly. They are probably a good bet for decent ink. A few IT pros have told me they will test different generics for quality to make a use case. They make small purchases until finding the necessary consistency, and the save money with a bulk purchase of cheap printer ink and toner. NeweggBusiness customer reviews predominantly gravitate towards LD brand, which remanufactures compatible cartridges for Brother, HP, and Canon printers. Click image to view top-rated aftermarket ink toner products on NeweggBusiness. Support terms are a valuable part of office tech purchases. Printer companies use strong language about voiding warranty if refurbished ink is used, but that is illegal unless the damage was caused by the cartridge. If you want to play it safe, wait until after the end of the support period, then change over to aftermarket to assume less risk and save money. Management can reduce paper waste and print costs by rewarding under-allotment printing quotas. New technology is more efficient with ink. Monochrome injket printers by Epson use a larger tank which is more efficient with ink than cartridges. You may subscribe for savings on printing materials as well—HP Instant Ink program is a subscription wherein you pay a flat rate based on the pages you print. Instant ink is open to businesses and customers who would rather pay by the page printed. Going green and doing away with all your printing isn’t realistic. Reduction should be the goal; simply printing fewer page is the smartest way to save on printer ink and toner costs. The law is on the side of aftermarket ink and toner. Should you use aftermarket consumables for lower ink and toner costs? If when you know the truth behind cheap toner cartridges, the price is hard to pass up. Newegg's business buyers opt for genuine ink and toner cartridges with 85% of all purchases in the category. Why?